13. Insert a paragraph border and shading. 1.Four steps to a professional document. 6. 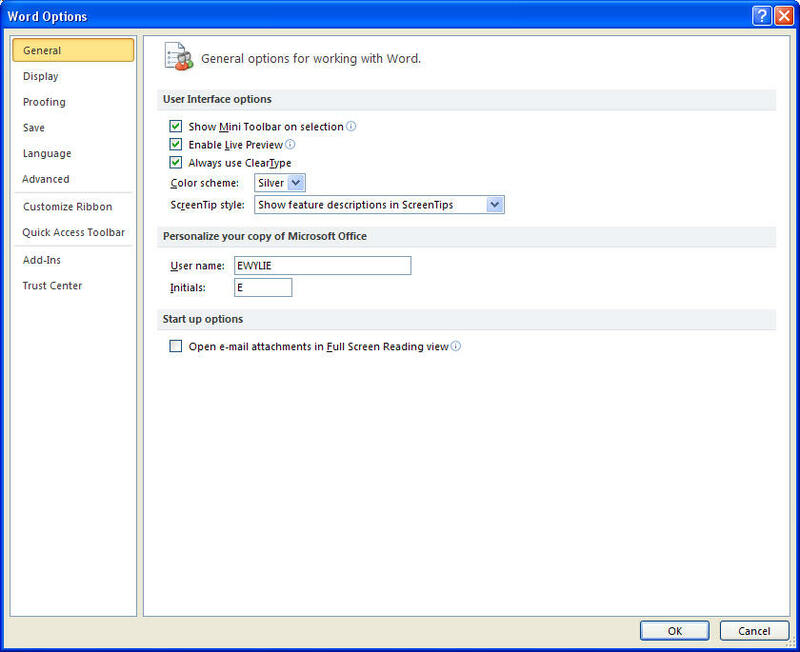 To start word: Click on start, point to all program, point to Microsoft Office, click word 2010. 7. Default settings control how the screens set up and how a document looks. 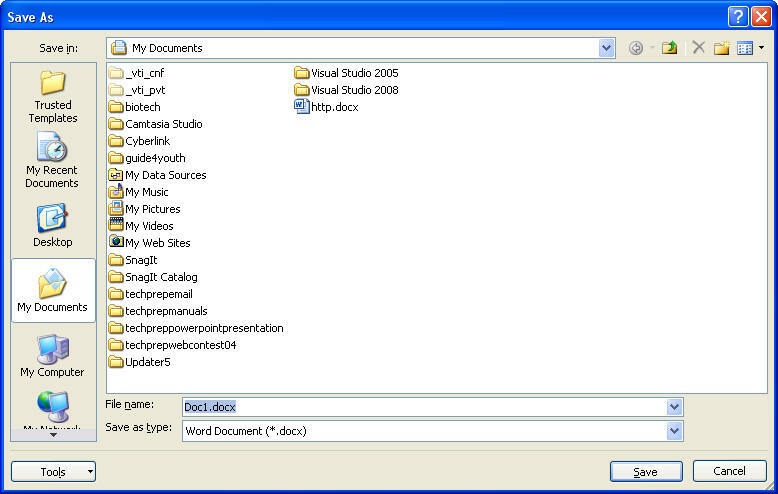 File Provides access to the Word Options dialog box and to commands that control what you can do with a document that you have created, such as saving, printing, and so on. Rulers Show page margins, tabs, row heights, and column widths. Tabs Provide one click access to the groups of commands on the Ribbon; the tabs you see change depending on the task you are currently performing. 9. Selecting print layout - Click the print layout button in the bottom right corner of the status bar. .
10. To display the ruler: Click View, in the show hide group locate the ruler check box and select it. 11. To select font: In the Font group on the home tab, locate the Font and Font Size boxes. Click the font list arrow and select the desired font then click the Font Size list arrow and select the font size you desire. 12. To display non-printing characters: Click Show/Hide button in the paragraph group on the home tab. 15. 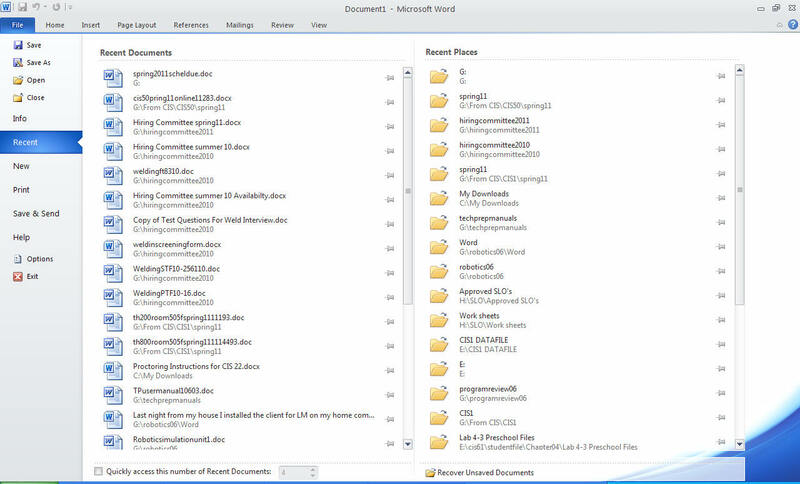 To start a new document click blank document in the new document task pane. 16. To save a document. Click save on the standard toolbar. Click the save in drop down box and select the location to save the file, click the filename text box and type in the name, click the save as type if you are saving other than word and select the type and click save. 17.Scrolling is the process of going up or down in the document to display different sections. Click the up arrow or the down arrow, drag the scroll box up or down. 19, AutoCorrect automatically correct common typing errors. 20. Spelling and Grammar checker continually checks your document. Red is misspelling, green is grammar, right click word and select correction, select option of replace or ignore. 21. AutoCorrect option button use to undo a change or prevent autocorrect from making the same change in the future. 22. Insert date with AutoComplete, enter the first few characters of the month. 23. Key strokes for moving insertion point. 25. Click the Redo button to reverse the action of the undo button. 25. Paragraph can be a group of words, single word or even blank line. 27. Line spacing determines the amount of space between lines of text within a paragraph. 28. Paragraph spacing determines the amount of space before and after a paragraph and is measured in points that are 1/72 of an inch. Nonadjacent blocks of text Press and hold down Ctrl, and then drag the mouse pointer to select multiple blocks of nonadjacent text. 30. To adjust line spacing - In the paragraph group on the home tab, click line spacing button and choose the spacing desired. 31. A Smart Tag is a feature that allows you to perform actions that would normally require a completely different program. 32. To remove smart tag: move the cursor over the smart tag, click the drop down button, select remove this smart tag. 33. To print preview Click file, point to print, click print preview. 34. To print a letter: click file, click print, print dialog opens, click ok if the options you want are selected. 30. To create an envelope: Click file, click new, click blank document, clack create, click mailing on the ribbon, click envelopes, type the correct address in the deliver address box, type a return address if necessary, to Print immediately click print, to store with document click add to document button. 31. To close a document click the close window button on the menu bar. 35. To change font and font size. Click the font arrow and select the font you want. Click the size arrow and select the size you want. 36. To make text stand out use text effects. Click the text effects down arrow and choose the effect you want. 37. Using Format Painter: Select the text with the formatting that you want to copy. Click format painter once to apply to a single group of text or click format painter twice to apply to multiple groups of text. Drag the pointer over the text you want to format. 38. Aligning Text- Select text then in the paragraph choose, left, right, centered or justified alignment. 39. Adding a paragraph border and shading. Select the text, in the paragraph group click border button arrow. Select the border style you want. For shading click the shading button arrow and select the shading you want. navigate to and select the picture you want, click insert. 41. 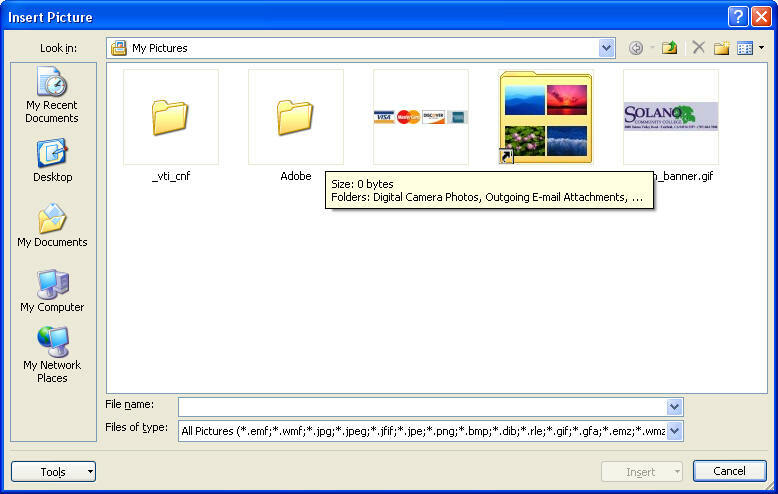 To delete a picture, select the picture, click the delete key.